11 West Preston - Gilbert Rd. - St. Georges Rd. 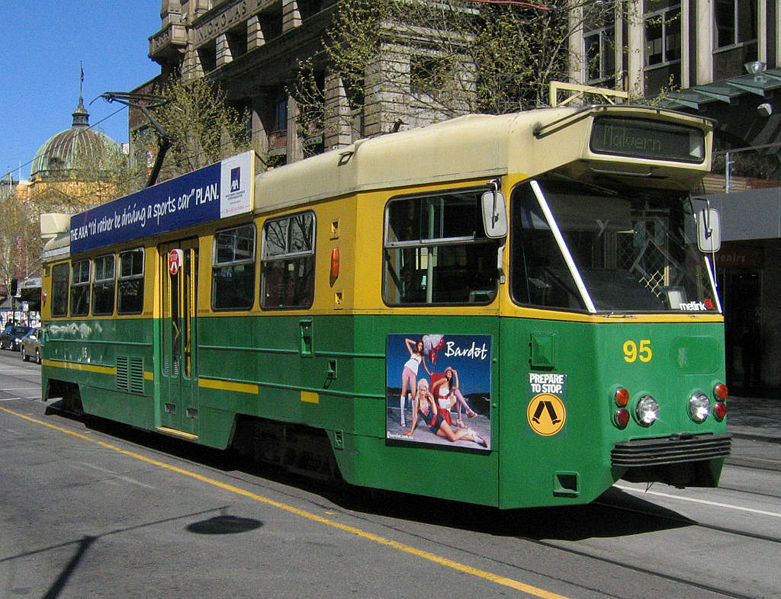 - Brunswick St. - Collins St. - City Collins St.
42 Mont Albert - Whitehorse Rd. - Cotham Rd. - Victoria St. - Victoria Parade - Collins St. - City Collins St.
48 North Balwyn - High St. - Bridge Rd. 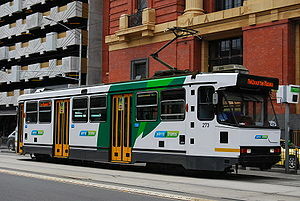 - Wellington Parade - Flinders St. - Spencer St. - City Spencer St.
75 East Burwood (Middleborough Road) - Toorak Rd. - Camberwell Rd. - Riversdale Rd. - Bridge Rd. 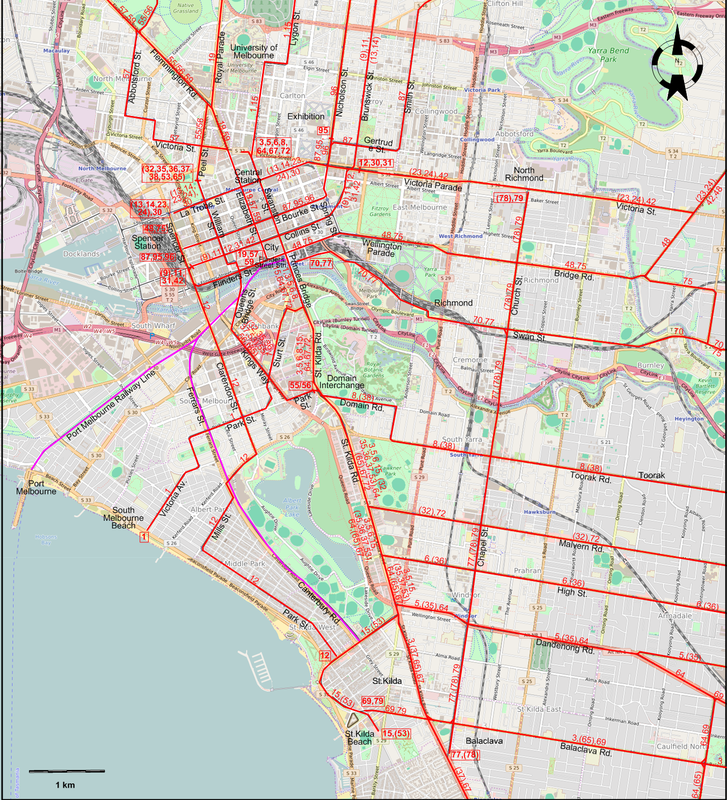 - Wellington Parade - Flinders St. - Spencer St. - City Spencer St.
87 La Trobe University - Thornbury - St. Georges Rd. 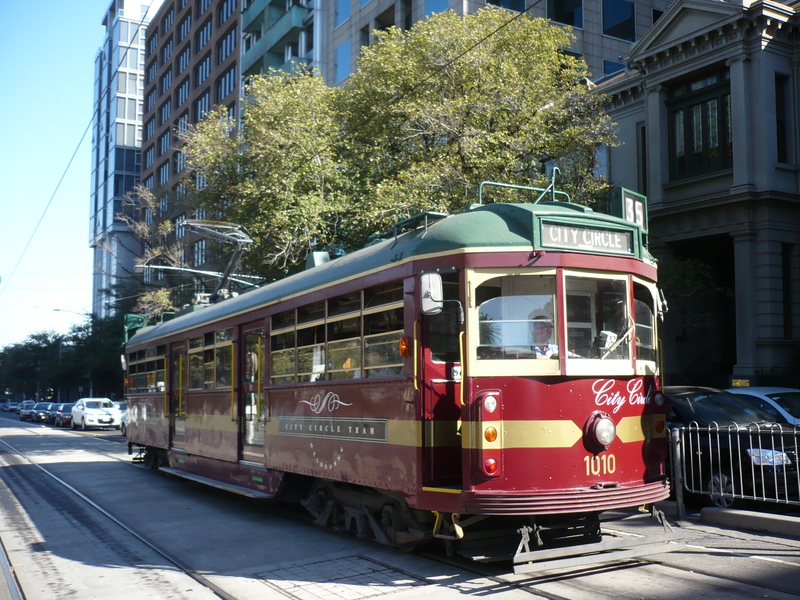 - Brunswick St. - Nicholson St. - Bourke St. - City Bourke St.
96 East Brunswick - Nicholson St. - Bourke St. - City Bourke St.
Tram lines: ca. 220 km. 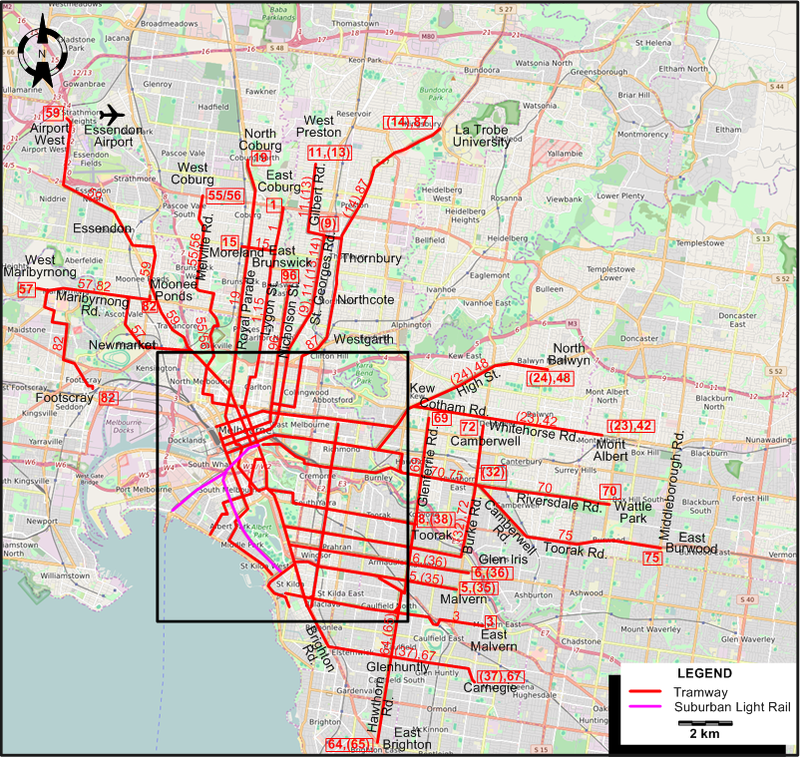 Suburban light rail lines: 7 km.